Philadelphia, Pennsylvania – March 7, 2016 -- The University of Utah grabbed their spot in the 2016 Penn Mutual Collegiate Rugby Championship, coming from behind to defeat Notre Dame College of Ohio 12-10 to win the 2016 Las Vegas Invitational this past Saturday. Junior Chad Gaus’s diving try as time expired will send the Utes back to the Penn Mutual Collegiate Rugby Championship for the first time in four years. They won the inaugural CRC title, and qualified in the second year as well. The Penn Mutual CRC has grown in stature and attendance exponentially since Utah took the inaugural title, something that wasn’t lost on Drown. Better is what Utah was on Saturday, as the field is now complete for the best in collegiate sevens coming to Philadelphia the weekend of Saturday and Sunday, June 4th and 5th. After winning in Las Vegas, Utah now joins the 24-team field in the 2016 Penn Mutual Collegiate Rugby Championship, which includes three-time defending champion California, as well as Arizona, Arkansas State, Army, Boston College, Clemson, Dartmouth, Drexel, Indiana, Kutztown, Life, Michigan, Navy, Notre Dame, Penn State, South Carolina, St. Joseph’s, Temple, UCLA, Virginia Tech, and winners of three final qualifying events in April: the Big Ten, Atlantic Coast, and Southeastern Conference championships. The winner of the 2016 Penn Mutual Collegiate Rugby Championship takes home the coveted Pete Dawkins Trophy. The “World’s Largest Collegiate Rugby Festival” also includes the National Small College Rugby Organization (NSCRO) national championship, and the nation’s largest high school tournament with both boys and girls teams. Earlier, the Penn Mutual Collegiate Rugby Championship announced that the field for the 2016 Women’s Collegiate Championship will expand to 16 teams for the first time ever, and that the women’s championship final will be televised live nationally on NBC Sports Network. The women’s collegiate rugby field includes 16 of the nation’s top collegiate programs, including three-time defending champion Penn State (winner in 2013, 2014, and 2015) and local favorites Temple University (which returns to the event after missing the 2015 competition), University of Delaware, and Kutztown University. Also returning to the Penn Mutual Collegiate Rugby Championship are the women’s rugby squads from American International College (AIC); University of Arizona; Boston University; Life University; Lindenwood University; University of Michigan, and the University of Notre Dame. New to the expanded line-up this June are Ohio State University; Princeton University; Rutgers University; and the National Small College Rugby Organization (NSCRO) Selects squad, an all-star team chosen from the best of the NSCRO’s sevens teams. The interest in Rugby Sevens (also known as Rugby 7s) will continue to grow as the sport returns to the Olympic Games in 2016, following a 92-year hiatus. 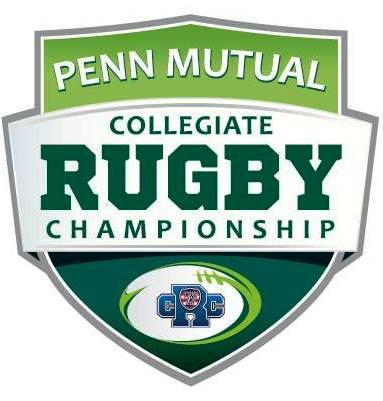 In addition to its CRC sponsorship, Penn Mutual is also title sponsor for The Varsity Cup, the collegiate championship of the 15-a-side rugby format. The Penn Mutual Varsity Cup is played in Provo, Utah on May 7. About United World Sports: United World Sports (UWS) is the largest commercial rugby entity in the United States, and the owner and operator of a growing portfolio of dynamic sports, media and apparel brands including, the USA Sevens Rugby international tournament, the largest professional rugby event in North America; the Penn Mutual Collegiate Rugby Championship, the premier college 7s rugby championship; and the Penn Mutual Varsity Cup Championship, the 15s national rugby championship. Through its apparel division, UWS owns the exclusive North and South American license for Rhino Rugby, one of the world's leading rugby apparel and equipment brands. UWS also owns and operates RugbyToday.com, the largest and most widely read media destination dedicated to American rugby. For more information about UWS and its properties, visit: http://www.unitedworldsports.com. About The Penn Mutual Life Insurance Company: Since its founding in 1847, Penn Mutual has been driven by its noble purpose to create a world of possibilities. At the heart of this purpose is the belief that purchasing life insurance is the most protective, responsible and rewarding action a person can take, and is central to a sound financial plan. The company is committed to helping individuals, families and small businesses unlock life's possibilities through life insurance and annuity solutions. This is accomplished through a national network of more than 5,000 financial professionals, who help clients make great things possible. Penn Mutual supports its field representatives with brokerage services through Honor, Townsend & Kent, Inc. Registered Investment Advisor and wholly owned subsidiary. Member FINRA/SIPC. Visit Penn Mutual on the Internet at http://www.pennmutual.com. About NBC Sports Group: When the Comcast-NBCUniversal transaction was completed in January 2011, the sports assets of the two companies combined to form NBC Sports Group, which serves sports fans 24/7 with premier live events, insightful studio shows, and compelling original programming. The sports media company consists of a unique array of broadcast television, cable television, radio and digital sports assets, including NBC Sports, NBC Olympics, NBCSN (NBC Sports Network), Golf Channel, 11 NBC Sports Regional Networks, NBC Sports Radio and NBC Sports Digital.